This week, two more secret live sound sources of Eric Clapton will appear again. Although it will be released on press CD at the end of 2 works, the master donor is both heavyweight tapers living in the UK who our shop trusts, both of the two works are completely public for the first time, it can be said to be the master of shock. 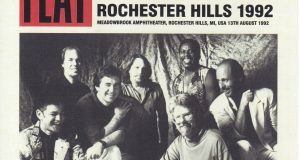 One of them, the main board, recorded in Mono Soundboard Recording with good sound balance, Charlotte, North Carolina State, on 24th March of midfield, from the 1978 Spring 1978 Spring’s National Tour that spanned two months doing. 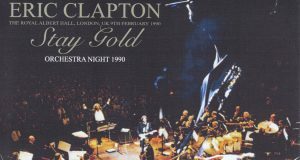 This sound source was originally recorded for checking at the concert venue mixing desk called PA Out, and there was a previously issued board released in the title “WORLD TOUR 1978” from the EC Rarities label in the past. However, it is hiss noise in the evaluation board of Clapton’s boot leg evaluation site Geetarz “SB 4″ (it should be 5 or 6 if it is originally SB), there are many hiss noise for the soundboard split, and one with a medium evaluation because of coarse sound quality was. Perhaps it was copied through generation. However, the master of the heavyweight caught in the main board has remarkably better sound quality than the original one, and in the already-launched version, the final stage is a fade-out and not complete recording Cocaine was completely recorded until the end The first appearance master of the surprise (The fade in of The Core will not change). However, the tape of the heavyweight was also damaged by the aged deterioration of the train. At the beginning of both sides of the tape, the pitch was about 40% lower than that of the semitones, after about 3 minutes it settled down to about 20% lower, after that it was in a state of trouble that it was stable about 20% lower. Our professional engineer demonstrated our usual skill and corrected the pitch perfectly. Furthermore, the high sound quality is intact, and the overall sound pressure has been raised for powerful improvement. This will make it possible to provide the master of the heavyweight in the best condition. Let’s review the topic of this year, here, how this national tour was positioned in the activities of Clapton. The album “SLOWHAND” released on November 1, 2006 was a big hit that “Lay Down Sally c / w Cocaine” cut as the first single was able to climb up to 2 national singles chart, and the album itself was also nationwide It became a big hit to record the second place on the album chart. The promotion tour with that momentum was this national tour. At this point, Yvonne Elliman who joined the album withdrew from the band for advancing to the solo career, and Mercy Levy was red as a point. If you saw that it was a long-term tour of more than two months in this formation, it can be said that this was where Clapton was a match. After that, the tour will be continued intermittently, but finished in July, soon Clapton will face the recording of the next album “BACKLESS”. 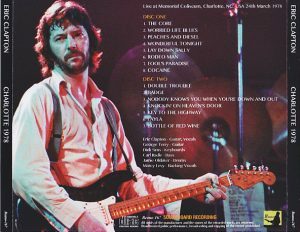 In that sense, at the beginning of this tour already American fans have already purchased the album, “SLOWHAND” was a big hit, looking forward to the live performances of that song. Therefore, for Clapton, it can be said that the tour of “Great hit thanks” rather than “album promotion”. And it was this Charlotte performance that was hit in the middle of the big welcome book tour. From this tour, a stereo sound board sound source of Santa Monica performance on February 11th and 12th, which was broadcasted in the American FM live program “King’s Biscuits Flower Hour” is famous, and it is also made into a boot leg. However, the set list and the song order are slightly different from that. In Cocaine which became the first complete recording, I play a long solo that this day is said to be the longest in history (switching to the wah wah play from the middle), ending is ended with a big chorus of the audience that became a large classic now It is far from the appearance, it is becoming an initial ending way unique only at the beginning (even though the singer finished singing the last chorus, Clapton still sings the title call by himself). 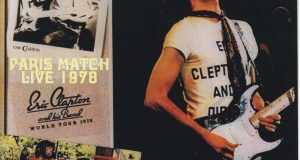 Although it is Clapton who is rolling over in full story, why is Layla ‘s follower left to George Terry (it was also in Santa Monica performance). After that, since it is Clapton who dismisses Terry (and Mercy) and makes it 4 pieces, it has already decided its policy already at this point, and the 餞 (Hanamu) to Terry was a solo feature in Layla Maybe. 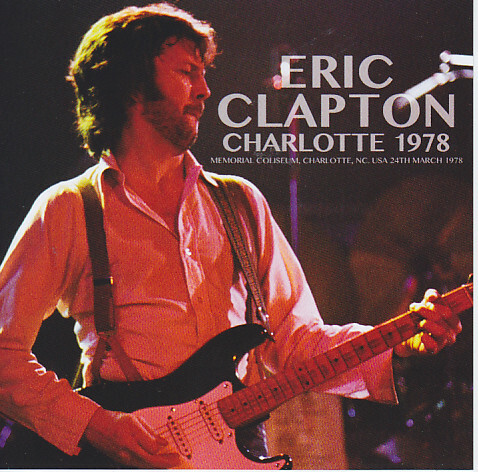 Clapton with the best guitar and vocals is here. Bottle Of Red Wine is not as much a hookup vocal as Santa Monica. Alcohol frequency is low, you can say that it was a fulfilling day that you played properly. A good board of “slow hand tour” to listen with the upgrade master is the main board. Since it will be a limited release with serial number entering sticker representing the first press, we ask for an order as soon as possible.